The title page from The Countesses' of Pembrokes Arcadia by Philip Sidney Enight. 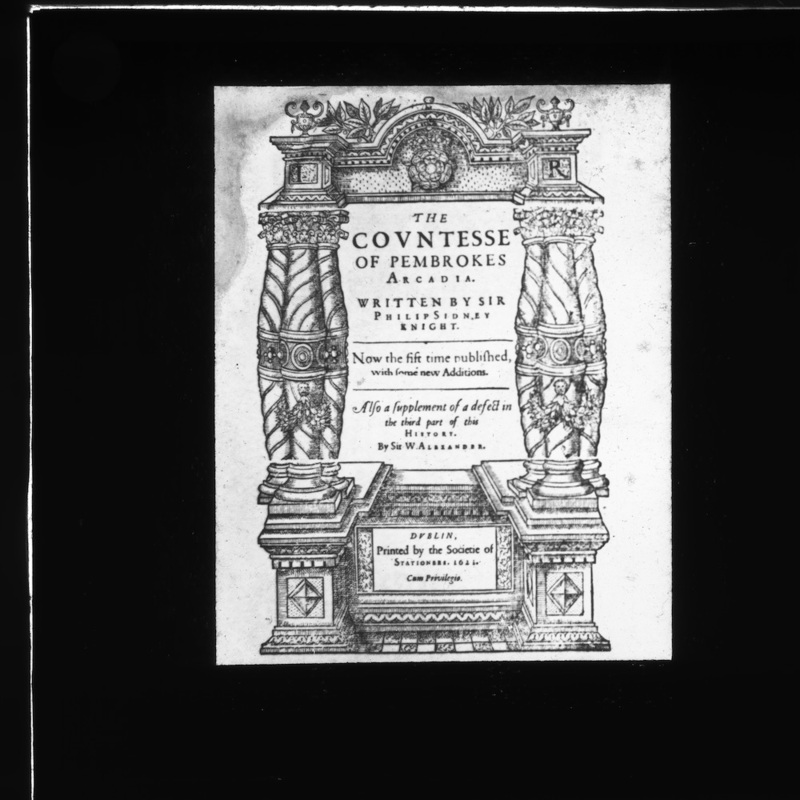 Lantern slide showing the title page from The Countess of Pembrokes Arcadia by Philip Sidney Enight. Originally catalogued with the label 'M2 98' and 'Mason Optician Dame St, Dublin. 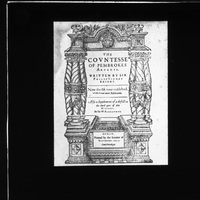 Laura Ryan, “The title page from The Countesses' of Pembrokes Arcadia by Philip Sidney Enight.,” Royal Society of Antiquaries of Ireland, accessed April 23, 2019, http://rsai.locloudhosting.net/items/show/469877.